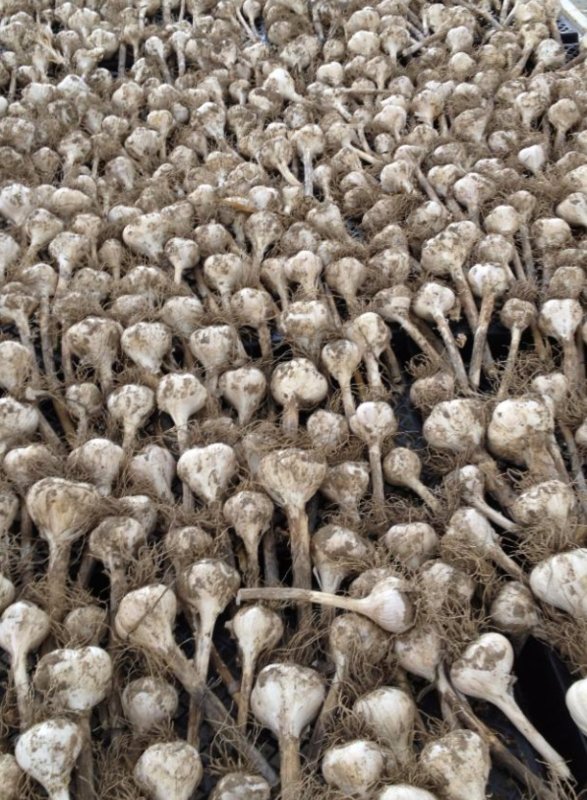 This week we’ll send you home with some of our prized garlic as part of the distribution. The variety of garlic we grow is called ‘Music’, and it has the longest journey of our crops from planting through harvest and more before making it to you. We set our cloves in the ground last October, and covered them with leaves to protect them over the winter. In June we harvested the scapes for you to enjoy, then harvested the heads in July and let them cure in the greenhouse for a couple weeks. Now they are ready for you, and it h as been nearly 10 months in the making! It is especially delicious garlic, so be sure to savor it as it sizzles in the pan, roasts in the oven, or adds just the right touch to your own freshly made salsa or tomato sauce. We know you make great dinners at home, but on Sunday, September 2nd, you can join us here for our annual Dinner on the Farm, and help raise funds to support all the work we do here at Massaro. Don’t miss this once-a-year feast in the field! See details below.